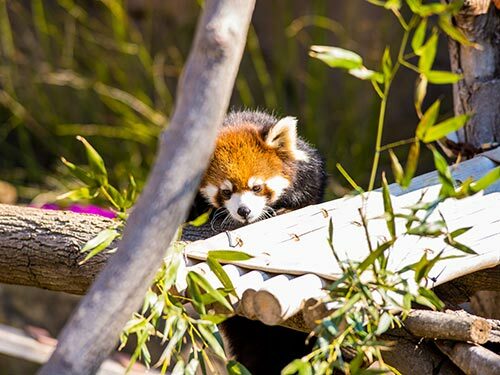 The Milwaukee County Zoo welcomes a new female red panda to its collection. The panda was born at the Cincinnati Zoo, and is named “Dr. Erin Curry” after the Zoo’s reproductive physiologist who tracked the pregnancy, resulting in the female cub, via ultrasound. Born in June 2015, she is about 9 months old, and very active and inquisitive. 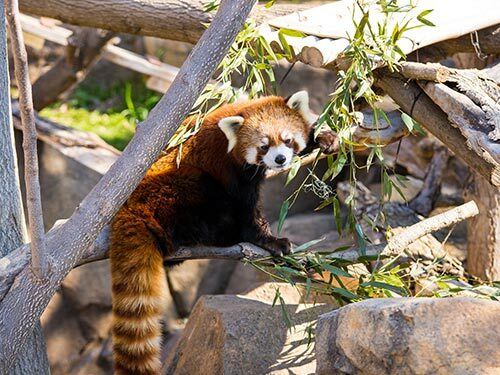 Recently introduced to her outdoor area, Dr. Erin Curry is very interested in her keepers and in exploring the new area, complete with climbing structures, enrichment items and even a panda hammock! 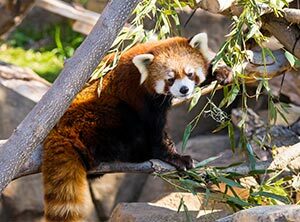 She’s paired with the Zoo’s male red panda, Dash, who is approximately 4 years old. Initial introductions of the two proved to be good, as Dash is very interested in his new partner, and she’s tolerant of him at this stage in the process. The Zoo hopes the pair will eventually breed, when Dr. Erin Curry reaches reproductive age, at about 18 months. 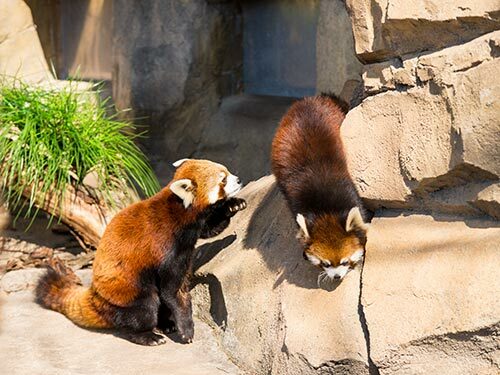 Red pandas are an ancient species in the order Carnivora, and are probably most closely related to the group that includes weasels, raccoons and skunks. They’re excellent climbers, using trees for shelter, to escape predators and sunbathe in the winter. 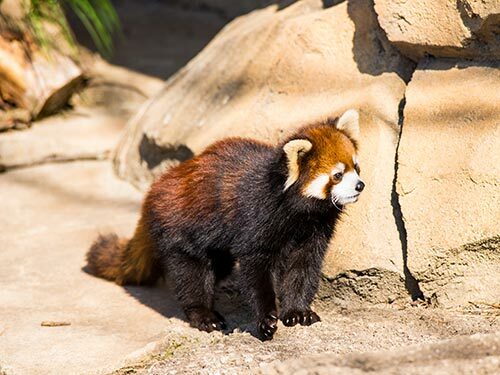 In the wild, red pandas are found in high altitude temperate forests in the Himalayas and high mountains of Burma and west Sichuan and Yunnan Provinces of China. They can also be found in the forests of Nepal, India and Tibet. Their conservation status is listed as endangered. Primary threats are habitat loss, human interference and poaching. Dr. Erin Curry and Dash can be seen on outdoor exhibit together daily, and are most active when the temperatures are mild. They tend to sleep mid-day, so the best time for visitors to see them is between 10 a.m. and noon and 3 p.m. and 4:30 p.m. On days above 70 degrees, they have access to an inside holding area with air conditioning.